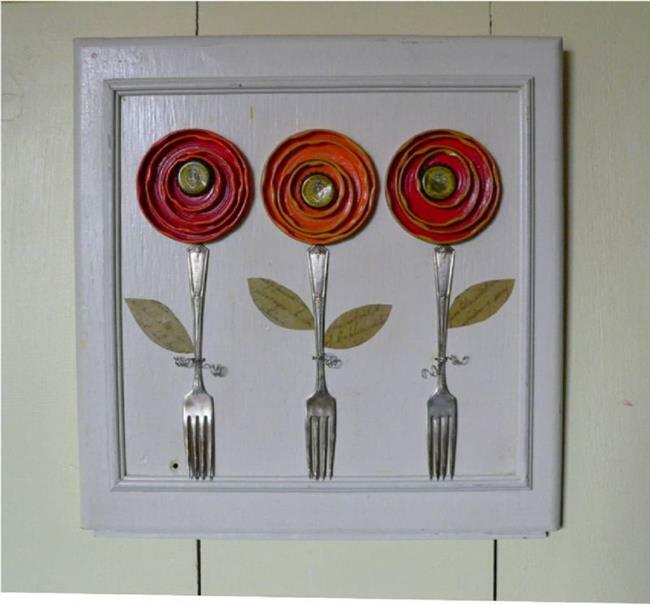 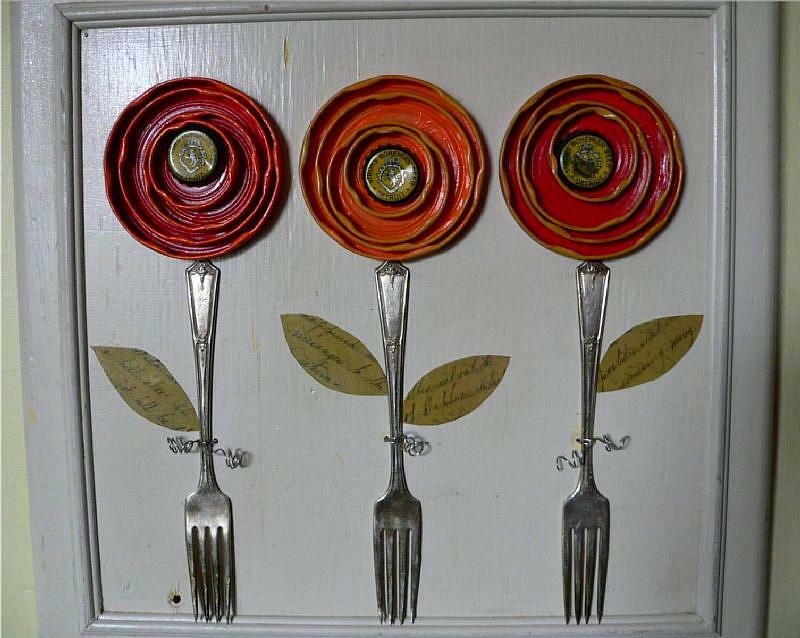 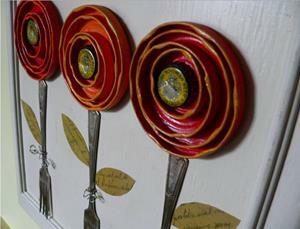 Salvaged kitchen cupboard door left in as found condition transformed into a work of art featuring a trio of flowers created from jar lids, silver plated vintage forks and Stroh's Bohemian Beer bottle caps from the 60's. Leaves are made from actual notebook pages with cursive writing from the very early 1900's. 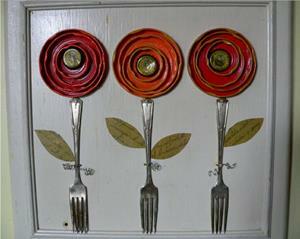 Measures about 15 x 15 inches and is wired and ready to hang and for sale in my etsy shop Saraphina.